Over the last century, the search for human ancestors has spanned four continents and resulted in the discovery of hundreds of fossils. While most of these discoveries live quietly in museums, there are a few that have become world-renowned celebrity personas. 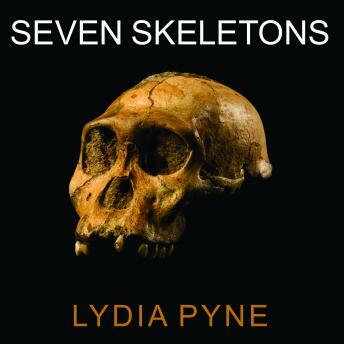 In Seven Skeletons, historian of science Lydia Pyne explores how seven such famous fossils of our ancestors have the social cachet they enjoy today. Drawing from archives, museums, and interviews, Pyne builds a cultural history for each celebrity fossil. These seven include the three-foot tall 'hobbit' from Flores, the Neanderthal of La Chapelle, the Taung Child, the Piltdown Man hoax, Peking Man, Australopithecus sediba, and Lucy-all vivid examples of how discoveries of our ancestors have been received, remembered, and immortalized. With wit and insight, Pyne brings to life each fossil: how it is described, put on display, and shared among scientific communities and the broader public. This fascinating, endlessly entertaining book puts the impact of paleoanthropology into new context, a reminder of how our past as a species continues to affect, in astounding ways, our present culture and imagination.